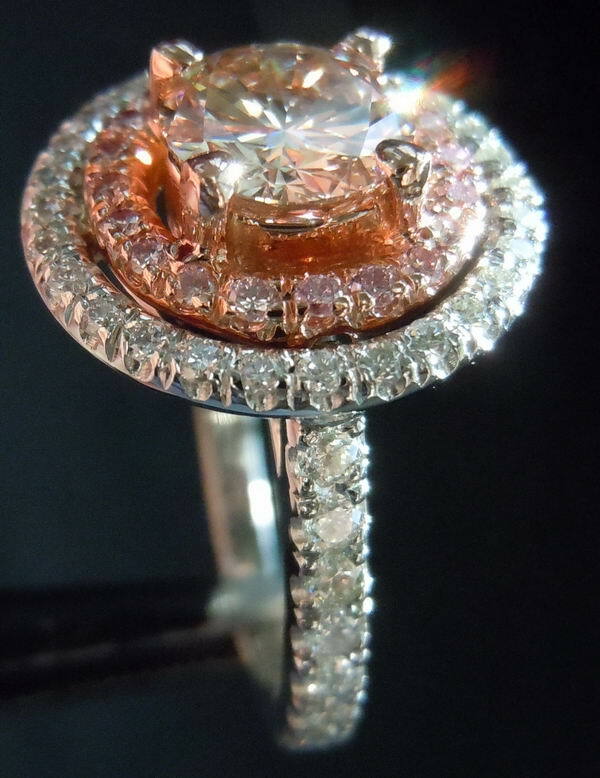 This is a beautiful custom made double halo diamond ring. 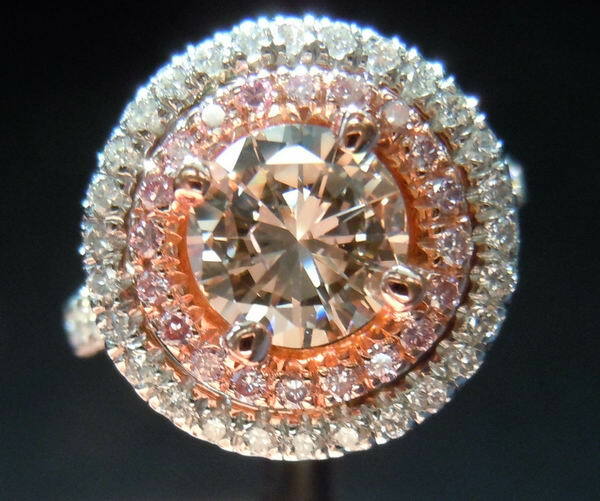 If you love pink diamonds, and you didn't write the hottest new iPhone app, you're having to find innovative ways to satisfy your craving. This is like Pink Diamond methadone, for the truly addicted. Not the real thing, but it will keep you going another day. Take a round diamond- a brown one. Add a smidge of pink, and viola! 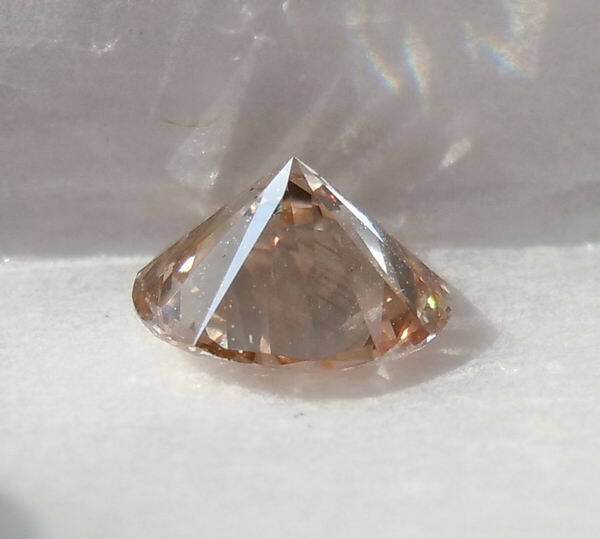 Here' you go, a pink(ish) diamond priced within reach of the masses. 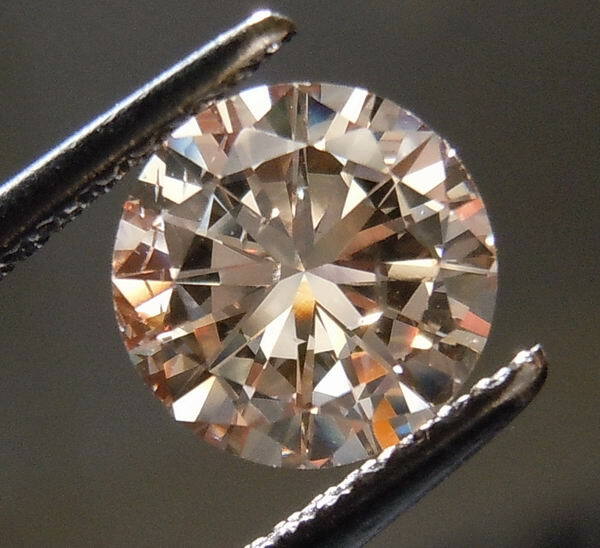 In terms of cut, it's not your "normal" round brilliant diamond. it would be considered "off make" if it were colorless. 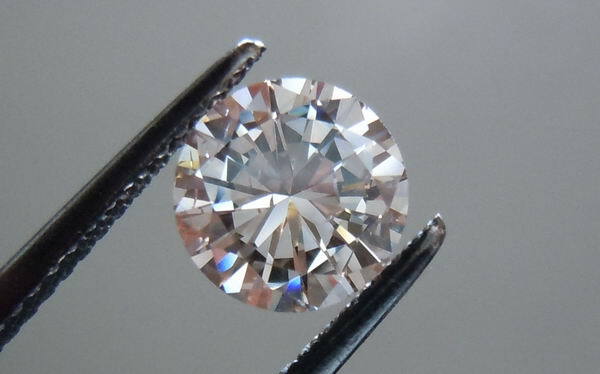 It still has very nice sparkle- plus, one aspect of the cut makes this 1.03ct look more like a 1.25ct- which ain't bad. 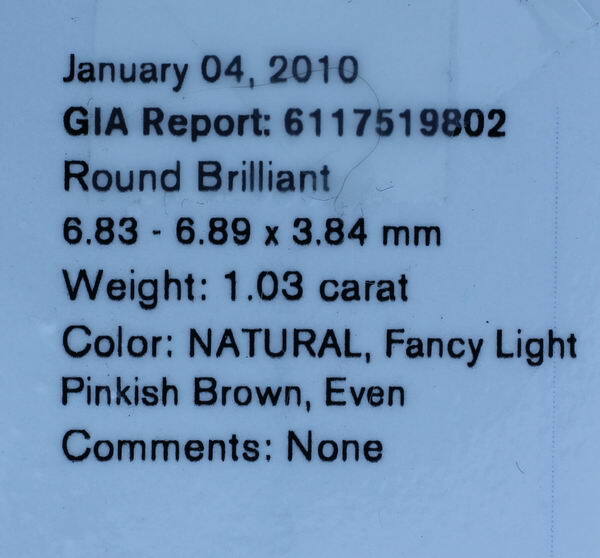 We graded the diamond SI2 ( the GIA report is for color only). There's no glaring imperfections, although a sharp eyed person might be able to spot the small feathers. 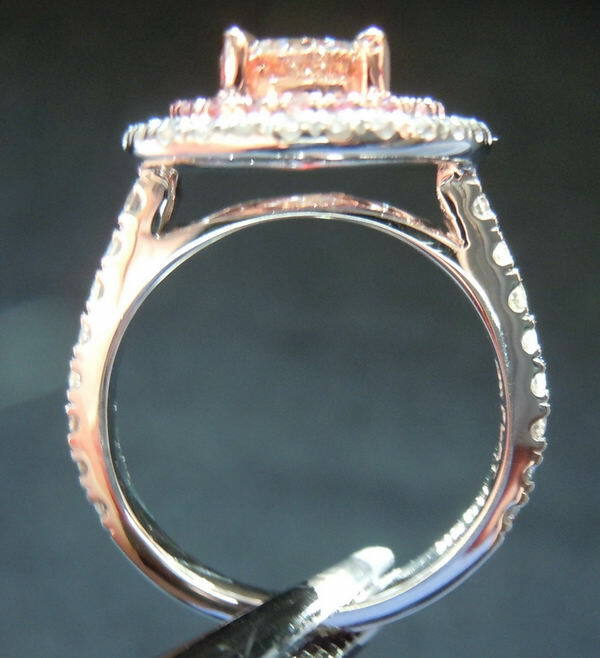 This custom made ring is a perfect fit for the center diamond. 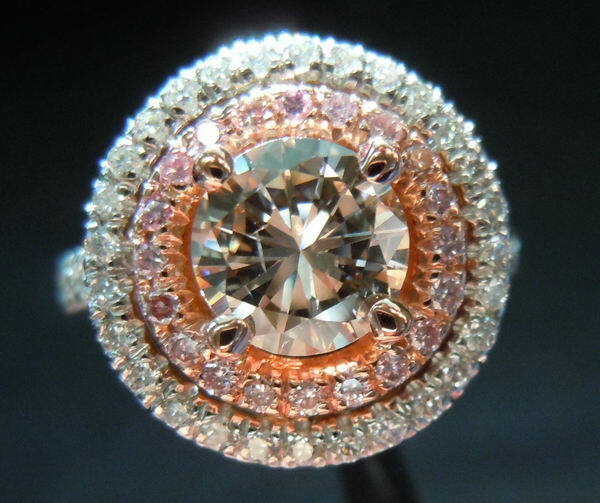 The double halo not only helps to bring out the pink in the center diamond, it really increases the finger coverage substantially. 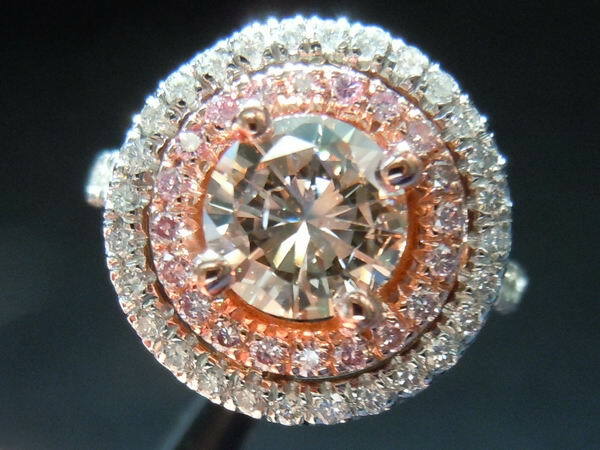 It also has a lovely floating halo style that will allow you to wear it next to virtually any wedding band you choose.. The ring is well made and durable enough for daily wear. We guarantee the workmanship. 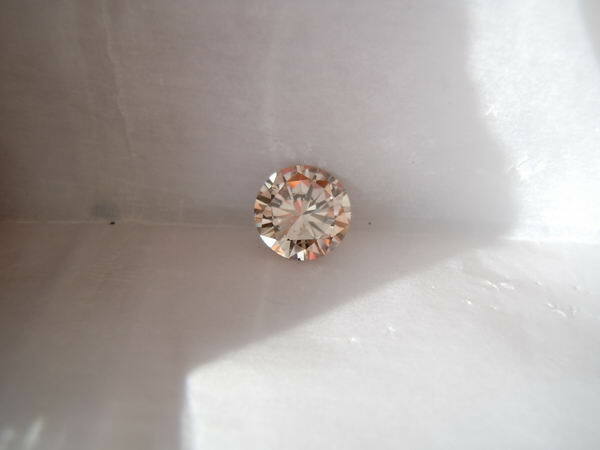 In the unlikely event one of the little stones pops out, we will replace it free of charge.